"Cold Dark Matter: An Exploded View." 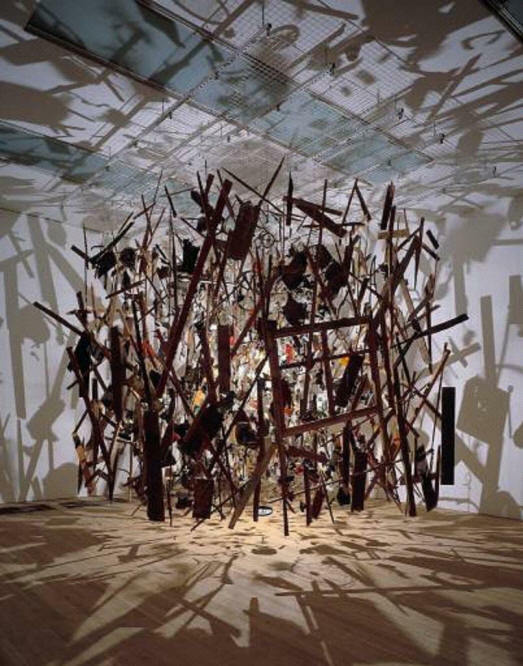 Sculpture by Cornelia Parker, 1991. Astronomers and astrophysicists are so keen to identify cold dark matter that almost any argument is accepted in the physics journals and the popular science media without apparent critical reasoning. A recently published paper in the Journal of Physics A by Adler (2008) calculates the maximum amount of cold dark matter that must be present in the space between the Laser Geodynamics Satellites (LAGEOS) and the Moon’s orbit. Adler asserts that there is at most the equivalent to 4 x 10^-9 of Earth’s mass of dark matter in that volume (2.4 x 10^16 kilograms). This scientific journal article was reported on the Scientific American and the American Scientist websites, among others. Unfortunately, the writers and editors seem not to have read the original paper and were more concerned with sensational headlines about dark matter than responsible science reporting. Still worse, the editor of the Journal of Physics A didn’t seem to pay much attention to the paper. What Adler does is deceptively straightforward. He uses published measurements for the gravitational parameter (GM in units of kg^3/s^2, the product of the gravitational constant G and the object’s mass) for the Earth alone, the Moon alone, and the Earth and Moon combined. After subtracting the values for the Earth alone and the Moon alone from the value of the two combined, what is left must be dark matter. Adler's value for the combined GM parameter is 403503.2357 ± 0.0014. His value for the Earth alone is 398600.4356 ± 0.0008, and his value for the Moon alone is 4902.8000 ± 0.0003. Each of these gravitational parameters is derived using a different method with different sets of assumptions, and are then "tweaked" in different ways (with implicit assumptions) before the final calculations. In the end, Adler finds the GM for dark matter to be 0.0001±0.0016. By dividing this value by the GM for the Earth, the result is a ratio of (0.3 ± 4) x 10^-9. Based on that result, he asserts that there must be a mass of dark matter less than 4 x 10^-9 times that of the Earth in that volume of space (G assumed to be a constant). There is a deep flaw in the proposal that the difference in these values is statistically significant. What has been found is that the GM value selected for the Earth-Moon combination versus the separate GM values for the Earth and Moon alone agree well within their stated tolerances. Alternatively, the value for the combined Earth-Moon GM is 403503.2357 ± 0.0014. If for comparison the separate Earth and Moon values are added using standard interval calculations to get the new error, the value is 403503.2356 ± 0.0011. Looking at these two values with error bars on a chart, the second summed value fits perfectly within the 95% confidence error bars of the original combined value. There is no significant difference between the two values. This error in reasoning is immediately followed by another statistical sleight of hand. Adler computes the dark matter-to-Earth GM ratio of (0.3 ± 4) x 10^-9. From this he uses only the positive side of the 95% confidence interval to assert there is at most 4 x 10^-9 the fraction of Earth’s mass in dark matter between Earth and the Moon. This is really misleading. The positive side of a confidence interval has no more statistical significance than the negative side. It is 0.3 plus or minus 4, not just plus. That means -3.7 is as statistically valid as +4.3. The best that he can propose (if we can ignore the error in assigning a statistically insignificant difference to dark matter at all) is that there is a 95% likelihood of there being or not being any dark matter in that volume of space. That is not really so enlightening. It’s difficult to know where to start with a critique of the Scientific American article. First, the writer obviously did not read the paper, or if he did, he has no grasp of confidence intervals. Second, the amount of mass under consideration is comparatively tiny. Twenty-four trillion metric tons is not even a very big asteroid. It’s not even in the top 10 of asteroid masses. So how this is meant to explain spacecraft orbital anomalies is not clear. Allowing for similar dark matter “halos” around the other planets, it will not exert any significant gravitational force on the Pioneer spacecraft. Third, there’s the speculation about Uranus. By definition, dark matter does not interact with “regular” matter. So how a collision with Uranus would have “knocked away” dark matter is difficult to understand. 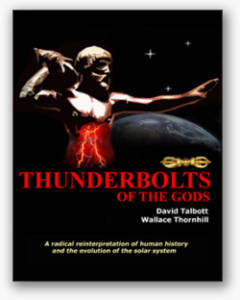 Adler correctly states that there are anomalous temperature phenomena associated with Venus, Saturn and other planets. The Electric Universe model uses observational data of electrical currents in space to propose hypotheses about these temperature anomalies. 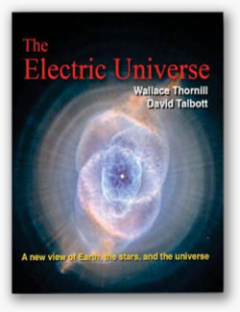 Wal Thornhill used the Electric Universe model to correctly predict that Saturn would have hot North and South Poles (even though the North Pole was in total darkness for over 15 years). Comparing this to Adler’s ideas, how would dark matter collisions preferentially heat the North and South poles? 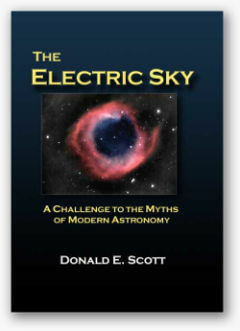 The Electric Universe model also predicts the spacecraft orbital anomalies. Space probes develop a negative charge as they move through space. As Wal Thornhill discussed in "A Mystery Solved," in the weak but steady electric field of the Sun negatively charged spacecraft will experience a small “anomalous” acceleration toward the Sun. Those employed by our scientific establishment, as well as scientific reporters, should be held to a high standard of critical thinking. In addition, the readership must not take any assertions from the scientific community at face value. A scientific theory is best assessed by its ability to provide testable predictions of the Universe around us. By adopting an attitude that asserts a theory is no longer open to being falsified, we have moved from science to faith. The Electric Universe movement encompasses a wide range of testable models and propositions to explain the world around us. It is also about empowering an educated public to demand better science from our scientists.